Who said that highly visual and interactive reports, dashboards were not possible with Microsoft SQL Server Reporting Services? At Bismart we not only add technical talent, but when it comes to producing reports and dashboards we apply communication and usability knowledge to design them. and give a chromatic sense to the report helped with the templates of corporative colors. These factors are taken into consideration regardless of the technology, be it Reporting Services or Power BI or even with other tools. The standard reports made with Reporting Services present, in most cases, many lines of improvement in terms of visual design and usability to provide an adequate response to user expectations. In addition, these reports can be printed in A4 format or sent by email automatically so that they can be presented as executive summaries in the Boards or Management Committees. 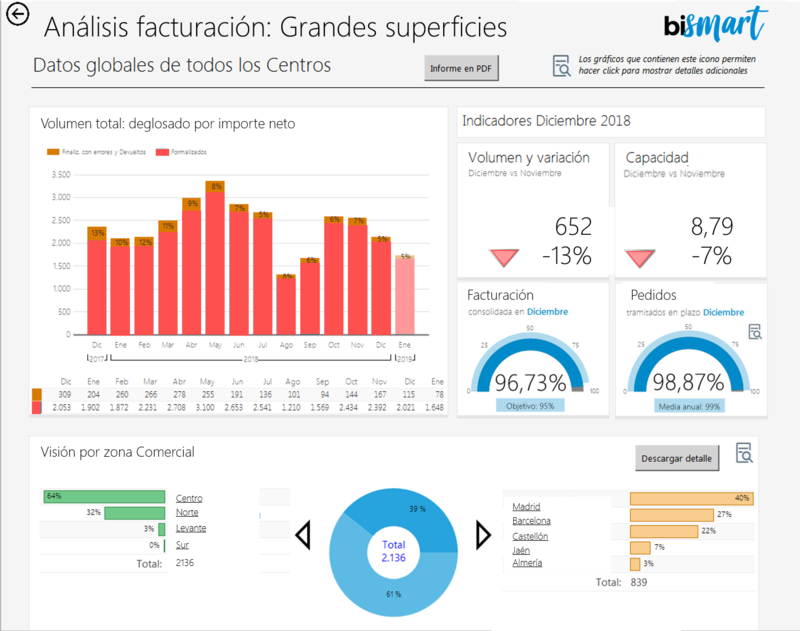 Thanks to the skills of Bismart's professional team, we are able to make the most of Reporting Services by creating dashboard reports with different visual objects, powerful navigation, ordering and interaction functionalities.